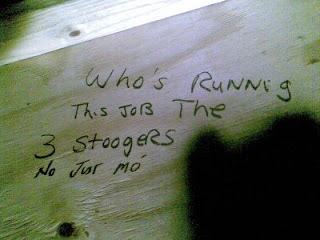 :: Construction Graffiti ::: Curly, Moe or Larry? Apparently Superintendent Moe is running this job. Boy, has it been humid lately!